You know that audiences are now used to receive information at almost light speed. For example, a one- second delay in mobile loading time may cost up to 20 percent less conversion in retail. More than that, Google rocked the online world not so long ago with its mobile page speed update, by officially making page speed, a mobile device ranking factor. Google is serious about page speed and user experience, and content marketers should do so. Even if you have impeccable marketing skills and strategy for content, a slow-loading blog with poor user experience can cost you a fortune. In fact, according to DoubleClick's research, publishers whose websites were loaded within five seconds earned twice as much as advertising revenue as those loaded within 19 seconds. Let us get some practical advice without further ado on how to speed up your website to make Google and your visitors happy. Google recently modified the way it evaluates the speed of websites. It now extracts data from the Chrome user experience report (CrUX), which is a public dataset of key user experience metrics for websites across the web. CrUX is based on real-world measurements and collects data about how users interact with your site, how long it takes to fully load your page, the types of devices used by your visitors, etc. Now, how Google calculates speed depends on your users' Internet connection and their devices. Google may consider your perfectly optimized site slowly because of poor Wi-Fi or devices that your visitors use to access your website. The next step is to identify the weak spots of your website. Perfect for that is the PageSpeed Insights tool. It gives you an idea of how well your page performs and provides performance optimization advice according to the CrUX report. CrUX data can be found on the PageSpeed Insights tab under the speed tab. It is based on a familiar set of parameters that show how well your site is optimized for speed when it comes to optimization. Although PageSpeed Insights now provides two parameters, our mobile speed update experiments before and after Google revealed that optimization score rules still rank first. Surprisingly, the page speed is related to the positions of the pages in the SERPs. But Google will, of course, show its users not only well- optimized pages, but also fast pages that load well on their devices in the long term. The page speed is still important at the end of the day, which depends on technical optimization. If your site is quick and has a high optimization score (over 80 points), it's as good as it is. But if the scores do not reflect the top results, first steps will be taken to improve the optimization. After all, optimization still has the greatest influence on the rankings and is easier to improve because you control the technical criteria that affect the optimization. Altogether, there are nine Google approved ways to improve the optimization. 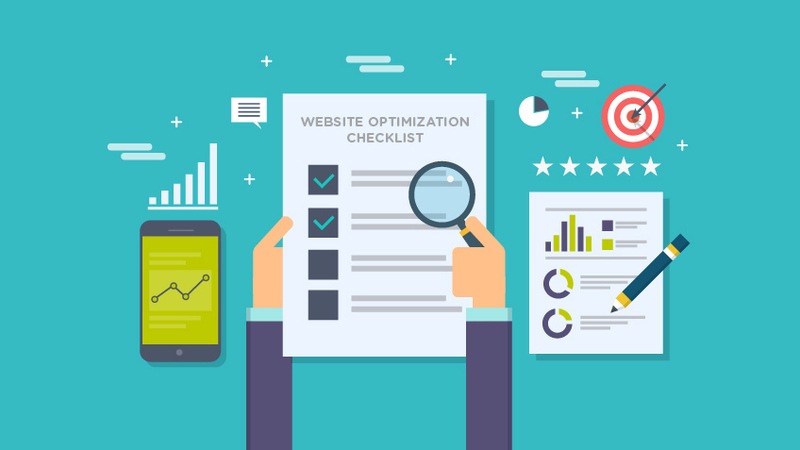 Fortunately, many tools such as Website Auditor, SE Ranking or SEO Site Checkup help developers to identify and optimize the following parameters. If the following nine optimization factors are unknown as given below, share this list with your technical team. Avoid Redirect Chains: Nothing's wrong with redirections. Sometimes, however, you end up with a redirect chain rather than a single redirect. It can happen when you redirect your website from HTTP to HTTPS or from www to non- www when you migrate or re-launch. Any additional redirection slows down your website by adding an additional HTTP round trip request-response. Limit the number of redirects to one – from one URL to the end of the destination. Enable compression: Logically, the compression of the content shortens the time required to load your page and improves the rendering time. If you have compressible content on your website (e.g. images, videos, audio files), go ahead and GZIP it. Improve Server Response Time: It is crucial to monitor the response time of your server. You can do this with tools such as WebPage Test and Pingdom. They can help much in identifying performance problems that slow the delivery of content. When the response time of your server is more than 200 ms, ask your developers to fix the problem. Implementing Caching: A caching policy reduces the number of round trips between the client and the server during the resource recovery process. It also helps to determine whether and when resources previously obtained can be reused for your website, which does not require the page to be loaded from scratch every time. It is only right in the future to cache resources (e.g. images). With Cache-Control, this can be done easily. If you use WordPress, you should consider using this WP Super Cache plugin. Image Optimization: This is one of the most important activities on the list, if not the most important. There is absolutely no need to upload images of full size on your website. Optimizing images can reduce the loading size of your page by up to 80%. There is no single picture optimization formula, however, so experiment with your pictures to determine your optimum settings to make them “lighter “and maintain quality. For further technical advice, please refer to this Google image optimization guide. CSS Delivery Optimization: The browser only returns your page after the CSS files have been processed. The more files you have and the bigger they are, the longer you need to fully load your page. But if external CSS resources are small, they can be directly inserted into the HTML. Visible Content Prioritization: Server cannot send and browser cannot process an unlimited amount of data. Therefore, keep your overall content below 14.6 kilobytes compressed so that only one round trip is necessary to load and render it. If your page speed still lags after improving all the above parameters, some critical changes need to be made. Since page speed is calculated by user experience, the only way to influence it is by making your website heavier and more sophisticated. Minimize the number of scripts and images. In other words, try to make your website as easy as possible. Another good idea for content / news distributors and bloggers is to implement AMP, which will load a page almost instantly. Instead of improving technical features, reconsider the concept of your website (although this is important). Sometimes meeting the technical requirements of Google does not necessarily mean that you have the best user experience. And that must be your primary concern as a marketer for content. Now that Google has set a course for faster user experience and evaluates sites according to real-world measurements, you should focus primarily on improving page speed. Google now prioritizes speed more than ever before, and that trend will hardly change soon. It is worth your time and effort to meet the need for speed of your site visitors. If you do not understand all these technical terms to improve the performance of website then we at W3care Technologies have teams of experienced developers to provide you best services. W3care is a mobile app & website development company based in India.